A total of forty-two golf courses can be found in Pinehurst and the surrounding areas, offering an abundance of outstanding golf real estate on fairways. And if you don’t live on directly on a fairway in Pinehurst, you can still purchase real estate in a golf community and be just a short golf cart drive from one. Below are just a few Pinehurst golf real estate options. National Golf Club has blended golf’s two greatest legends — Nicklaus and the Sandhills — into a secure, gated residential community of superior quality. 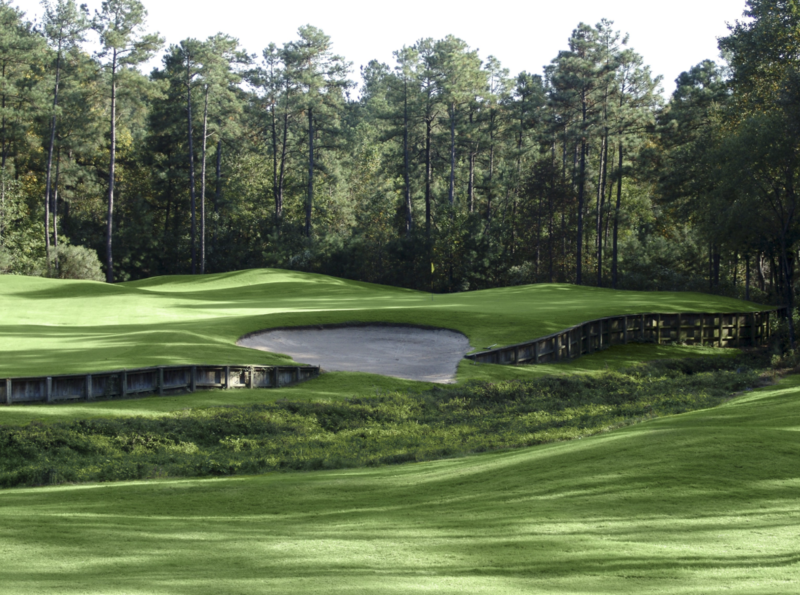 Jack Nicklaus constructed a masterpiece set amidst the longleaf pines of Southern Pines. This 18-hole championship layout features classic Jack Nicklaus architecture, wide fairways, lush course conditions, and undulating putting surfaces that test your mind and your true golfing ability. Within their 514 wooded acres, you will find an established and gracious neighborhood of Estate Homes, Village Homes and Cottages. This is a gated community that offers 24-hour security. Whether you seek a full-time home or a second home getaway, it is all here at National Golf Club. With views of the golf course, lakes and wooded areas, you can buy an existing home or build that house you’ve always wanted. Available homesites range in size beginning at 1/2 acre, and prices begin at $65,000. At Pinewild Country Club, golf is more than a pastime. It’s a way of life. Located just one mile from the quaint and historic Village of Pinehurst, this gated club offers its residents a gracious and private lifestyle, with spacious homesites and pristine views surrounded by three of the most beautiful golf courses found anywhere in the world, one of which was designed by the legendary Gary Player. Pinewild is a residential country club with singular credentials . . . a world where fairways spread emerald meadows beneath candelabra pines and winter barely whispers past a golfing season that never ends. Here Pinehurst Golf Real Estate and Homes come into a great symbiosis. You can choose between a gorgeous golf real estate site, a picturesque lot site on the lake, or a serene forest site. If you’re looking for a Real Estate home in Pinehurst, there is an excellent selection available. See for yourself why over 600 families have already made Pinewild their home. As a Pinewild member, you’ll have plenty of golfing options with 2 championship courses (the Magnolia & the Holly), the 9-hole Azalea Course, and even a 3-hole practice course. Right in the middle of Pinewild’s 2,025 acres in the beautiful Clubhouse, which offers a pro shop, dining, a 25-meter Olympic pool, plus Har-Tru tennis courts. In addition, there is 40-acre Lake Pinewild for fishing, swimming, and canoeing. Both home sites and homes are available. Homes start at $300,000, with lots starting at $75,000. Located in the heart of the Pinehurst area, Talamore Golf Club offers a four-star layout designed by noted architect Rees Jones. Talamore is considered by many to be one of the top courses in the Sandhills area. Talamore’s Villas are minutes away from top championship golf courses, restaurants, and shopping. If you want to enjoy the outdoors, adjacent to the Villas is reservoir Park with 2.5 miles of nature trails and scenic overlooks. The Villas offer spectacular views of Reservoir Park and Talamore’s four-star Rees Jones golf course. Talamore is considered by many to be one of the top courses in the Sandhills area. 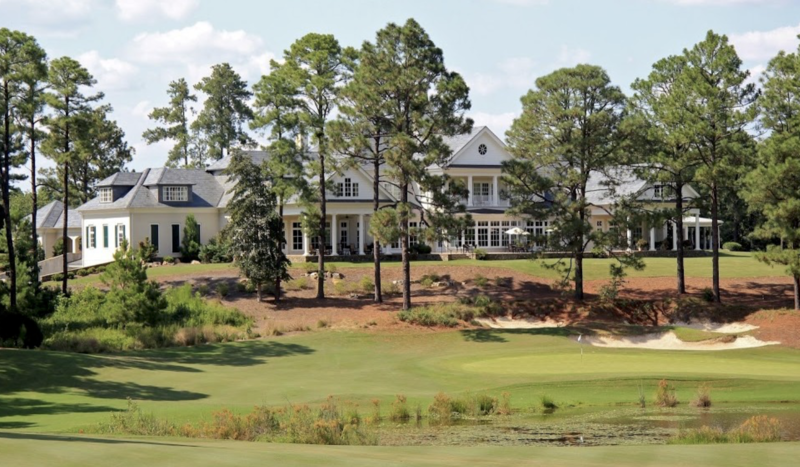 Located just minutes from the historic Village of Pinehurst, North Carolina, the Mid-South Club is one of the Carolinas most attractive private residential golf communities. Five hundred forty-five acres of longleaf pine forests, lakes, and gently rolling hillsides provide a backdrop for a place of beauty and serenity. The Mid-South Club Arnold Palmer signature golf course offers its members a challenging yet enjoyable championship layout on which to test their skills. 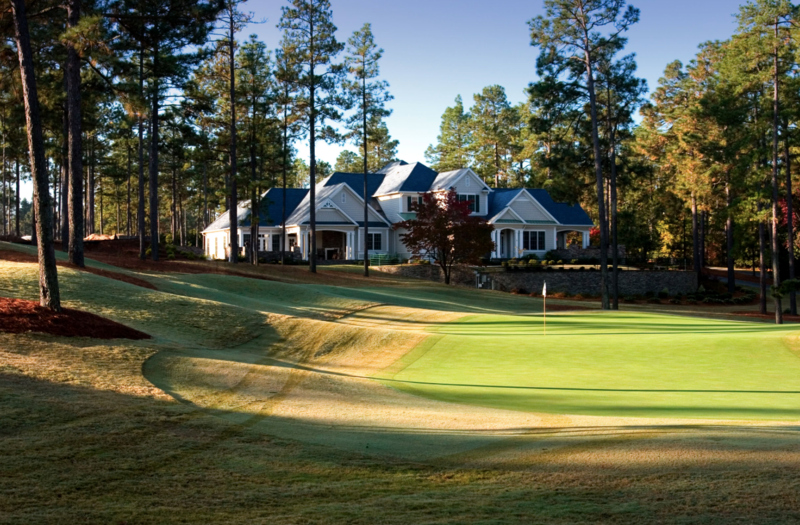 We invite you to explore all that the Mid-South Club and the Pinehurst area have to offer. The Mid-South Lodge is a grouping of 16 high-end luxury condominiums located in the clubhouse compound, with fabulous views stretching from #1 fairways all the way across to #9 and #18. Nothing but great golf and lots of water! Designed in the low-country feel, each 4-unit building has a huge front porch, welcome fountain, and a gracious southern spiral staircase to the second level. Single-family homes range from $300,000 to over $600,000. Homesites are available beginning at $60,000. The first private, gated community in the Sandhills, the Country Club of North Carolina, offers true exclusivity to its residents. The 36-hole golf club is as private as it gets, and prospective homeowners must first become approved for membership before they can close on their property. Homes begin at $300,000 and may exceed $1,000,000. Home sites are still available but limited. 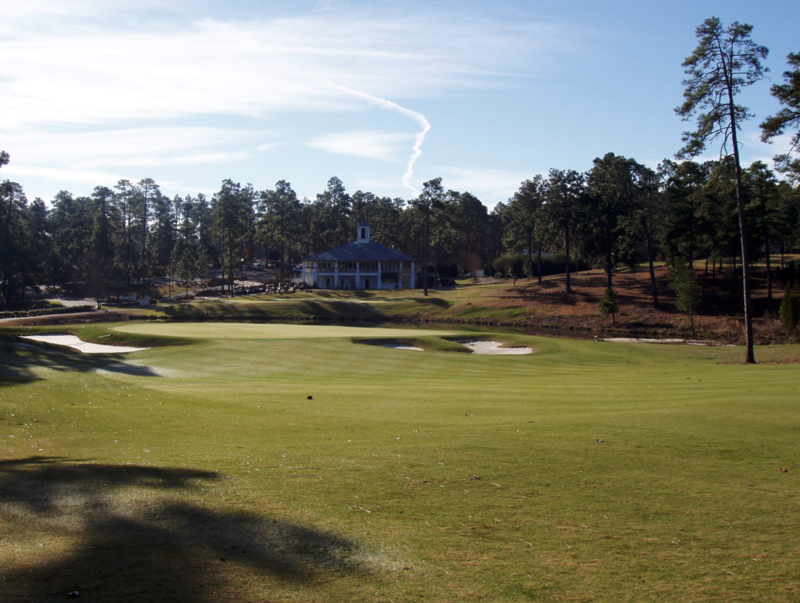 Forest Creek Golf Club, located just three miles from the village of Pinehurst, was founded in 1996. Forest Creek was designed by Tom Fazio, who created a fabulous course with an unforced, natural appearance weaving through corridors of longleaf pines. Forest Creek is a private country club located within a gated community. Golf course homes and vacant building lots are available for purchase within the community. The custom homes in this private community are among the finest in Moore County. Homes in Forest Creek are luxury properties ranging in price from the $650,000 to over $2 Million. Building lots begin in the $100,000’s. Forest Creek offers the ultimate in privacy and luxury for the discriminating buyer who is interested in the finest golf property that the Pinehurst and Southern Pines area has to offer. The community is located less than ½ mile from the Wallace O’Neal school, which is a private co-ed school offering K-12 classes from pre-school through high school. Forest Creek is also located less than a mile from Sandhills Community College and the Southern Pines Greenway trail system. 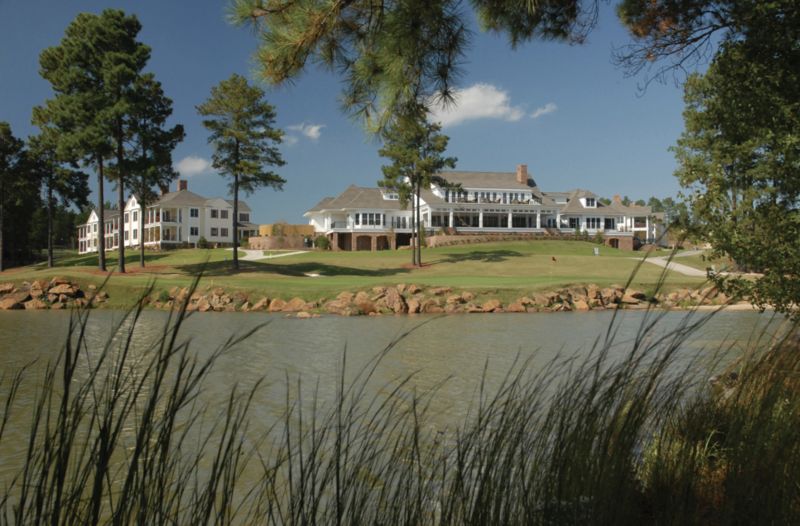 The Village of Pinehurst and the world famous Pinehurst Country Club are only 3 miles away. The shops and restaurants of Southern Pines are just 4 miles from Forest Creek. It is located within 5 minutes of the local airport, which offers general aviation services and daily commercial service through Delta Airlines. A great community for Pinehurst Golf Real Estate and Homes. Beacon Ridge at Seven Lakes West is a 3,000 acre, private, gated community highlighted by an 820-acre spring fed lake, Lake Auman, This beautiful area features boating, fishing, water sports, a private recreational area with a sandy beach, and championship golf on one of the area’s many outstanding 18-hole courses, Beacon Ridge. 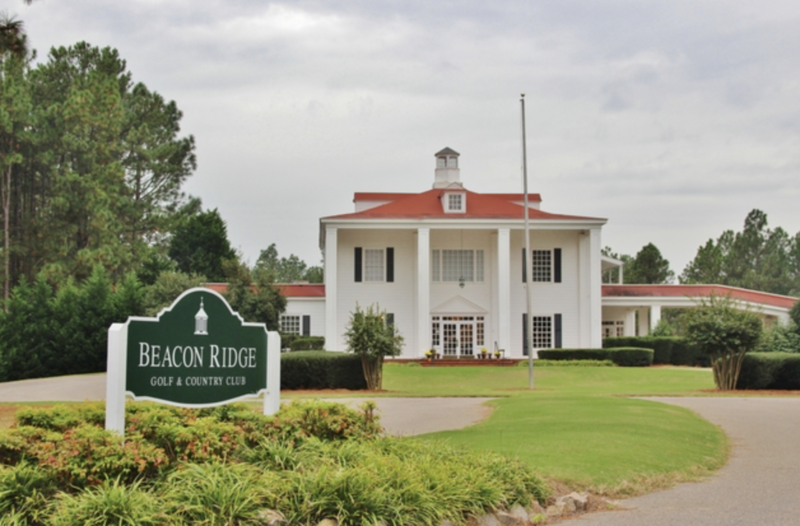 The clubhouse at Beacon Ridge features a pool, Har-Tru tennis courts, and a restaurant. Seven Lakes West residents are entitled to use the facilities of their neighboring communities, Seven Lakes North and South. Some of these amenities include horseback riding, tennis courts, recreational areas, a meeting house, fitness center, swimming pool, and the Seven Lakes Country Club. Home sites are available beginning at $25,000. New homes range from $219,000 to $1.6 million. Existing homes begin at $150,000 and can exceed $1,000,000 for a lakefront home. Within Beacon Ridge is the equestrian community of Morgan Woods — These five-to-seventeen-acre, single-family estates are perfect for horse lovers. Recreational trails and additional acreage for riding are adjacent to Morgan Woods. Estate homesites (5-acres +) are available from $68,000. The larger equestrian homesites (8 to 16-acres) are available from $65,000 to $133,000. The Fairwoods on Seven is one of the most luxurious private communities in the Sandhills area. Located in the Village of Pinehurst, the Fairwoods offers a park-like setting with beautiful landscaping and homes of distinction that are laid out over a hilly and winding terrain. The Fairwoods is a 393 acre gated community with only two entrances, making it a safer and more private community. There are over 200 building lots with about half the community developed. This makes finding your dream home a breeze. As a member of the Fairwoods, you can play golf on the best courses in the world! Golf at Pinehurst can be fun and relaxing or very competitive, based on your skills and desires. The choice is up to you. Membership at Pinehurst Country Club provides seven courses for you to play a relaxed round of golf or join any number of groups for competitive play. Come and see Pinehurst Golf Real Estate and Homes at Fairwoods on 7. The Fairwoods on Seven has a separate clubhouse from the main clubhouse at the Pinehurst Country Club and Resort. To learn more about the gated communities in Pinehurst and the surrounding areas contact us at 910-693-7901, or email us.